← Seller’s prerogative to appoint conveyancer. Sectional title searches prior to listing and selling. We encounter many sectional transfers where the Seller and the Agent are unsure of the situation regarding exclusive use areas. Sectional title properties can be more complicated than conventional properties. Exclusive Use Areas are not always shown on Deeds Office printouts and often agents do not perform these vital searches. If you are considering selling a sectional title property and are unsure as to how your exclusive use area is owned, then contact your conveyancer who will attend on the Deeds Office and do a full sectional title search on your property. The conveyancer will be able to look into further issues too in addition to the exclusive use areas e.g. real right of extension, tie conditions, any consents that are needed etc. 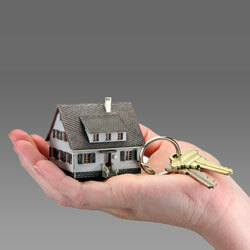 This search will also assist the agent who will then know how to write up the deed of sale accordingly. Contact Mark Witzmann on mark@oostco.co.za or 021 461 0065 for further details.